Twitter announced today that the company has filed for an IPO. The announcement came in the form of a tweet. 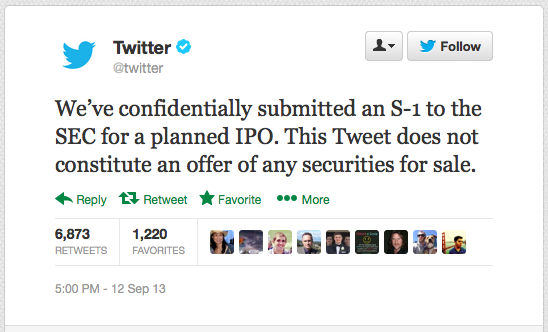 The tweet reveals that Twitter is filing using the new 'secret' IPO process made available by the JOBS act. This lets them make initial SEC filings without public scrutiny until they decide to actually sell shares to the public.